This week marks the 2-year anniversary of the Deep water Horizon Oil Spill in the Gulf of Mexico. On April 20th 2010, the world received news that eleven men working on the Deep water Horizon oil rig died in an explosion on the BP-operated Macondo Prospect. What the world did not know was the unthinkable scale of the disaster to follow. There is no point rehashing the gruesome details of the largest accidental marine oil spill in our history. There is, however, value in pausing to reflect and remember what happened two years ago. 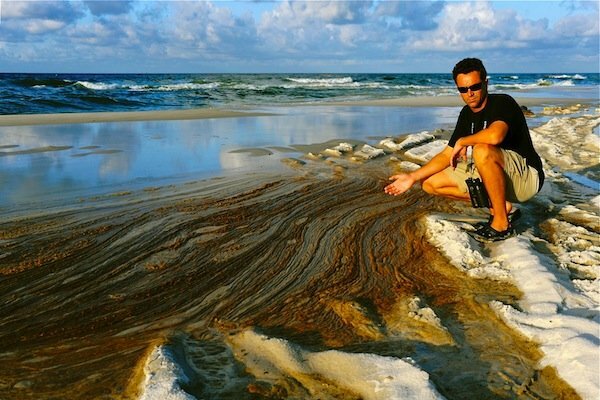 I covered the spill for several months for a special TV series on the Gulf Disaster. As you read the below timeline and see the below images, don’t ever forget the perils that walk hand-in-hand with human greed. 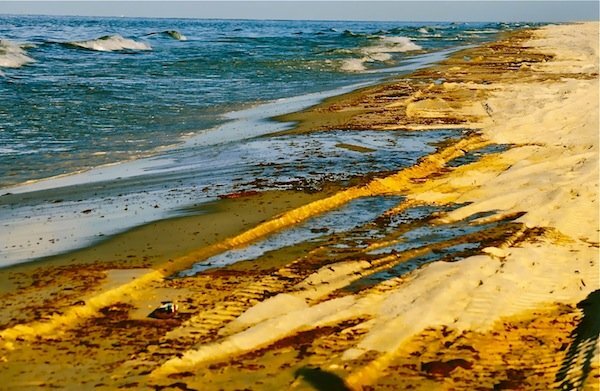 Most importantly, let us remember that the effects of the spill are still being felt and the BP Oil Spill timeline continues until the present and into the future. BP boss Tony Hayward sells one third of his personal BP stock, the same month that an accident damages the blowout preventer on the oil rig. At 9.45 pm methane gas from the well escaped onto the drilling rig where it ignited and exploded, basically blowing up a portion of the rig. Eleven men were unaccounted for and never discovered. After burning for two days the rig sank in 5,000 ft of water, leaving behind a large and growing oil slick. Coastguard Rear Admiral Mary Landry announces that there was a leak. Initial estimates by BP put the amount of oil leaking from the damaged wellhead at a conservative 1,000 barrels a day. Official estimates on the number of barrels leaking into the Gulf rises to 5,000 barrels per day. 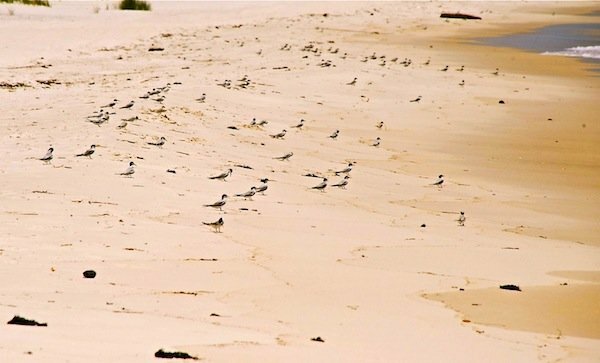 The spread of the oil is estimated at 3,850 square miles and fears for severe impact on the gulf’s beaches begin to rise. Oil washes ashore at Venice, Louisiana. 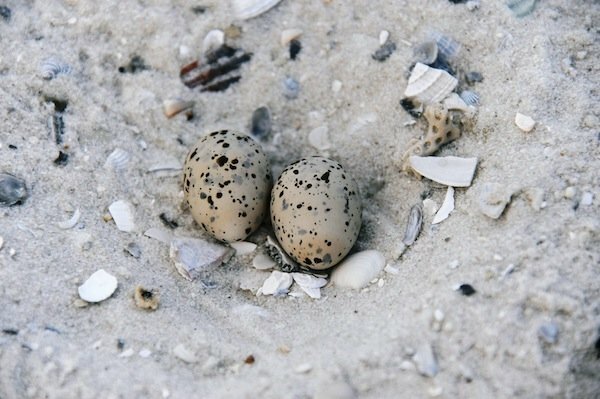 Oil washes ashore on the Chandeleur Islands off the Louisiana coast, an important nesting and breeding area for many bird species. The failed container dome is lowered onto the wellhead. BP boss, Tony Hayward, labels the spill as “relatively tiny” in comparison to the ocean. 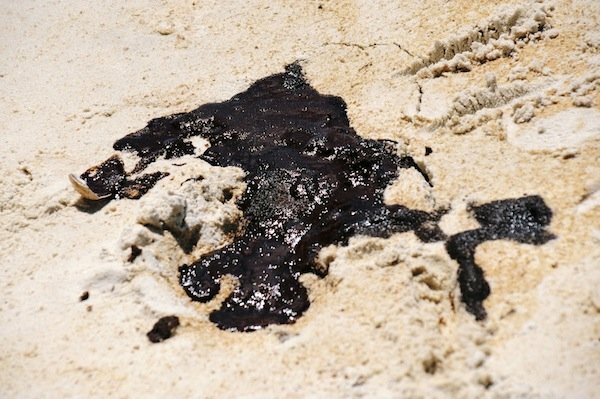 Oil washes ashore on mainland Louisiana. Official estimates on the number of barrels leaking into the Gulf rises to 12,000 to 19,000 barrels per day. BP finally announces that Operation “Top Kill”, the effort to force drilling mud into the wellhead and seal it, has failed. BP apparently bans workers from showing dead or dying wildlife and from talking to the press. Several times we were forcibly removed by security personnel from photographing scenes like these. 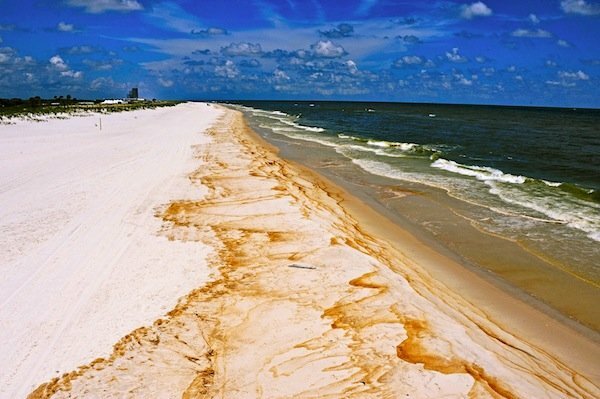 Oil washes up on barrier islands and beaches from Louisiana to Florida. Official estimates on the number of barrels leaking into the Gulf rises to 25,000 to 35,000 barrels per day. Official estimates on the number of barrels leaking into the Gulf rises to between 35,000 to 60,000 barrels per day. Hurricane Alex causes relief rigs to disconnect and fail, leaving oil to spill unchecked into the ocean. Oil enters Lake Pontchartrain, a massive estuary in Louisiana, potentially threatening a thriving and diverse ecosystem. BP brazenly says an internal investigation has cleared the company of all gross negligence in the spill. 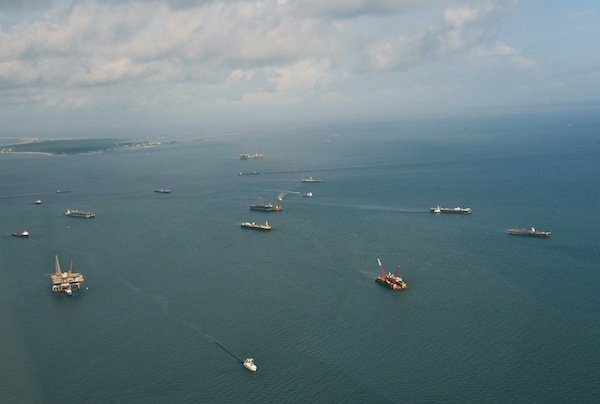 Officials finally estimate the number of barrels that leaked into the Gulf at 62,000 barrels a day, more than sixty times higher than what was initially reported. ‘Static kill’ attempt to stop the oil leak is successful, though more mud may still have to be pumped into the well to close it permanently. The ruptured well is finally sealed and “effectively dead”, reports Coast Guard Admiral Thad Allen. The US Federal Government seeks to sue BP and other corporations for unlimited liability and pursue them to cover all the costs of the clean-up, including damages to natural resources. The White House oil commission concludes that the oil spill in the Gulf of Mexico was the result of systematic management failure at BP, Transocean and Halliburton. Center for Biological Diversity files a petition to list the Dwarf Seahorse as endangered as a result of the destruction of its habitat by the BP oil spill and over collection for the aquarium trade. Scientists report that oil surfacing a mile from the site of the sunken rig matches that of the oil from the Deep Horizon disaster site. Reports seep of an LSU paper that details traces of hydrocarbon poisoning in populations of Gulf Killifish, a possible precursor to a collapse of fish populations. 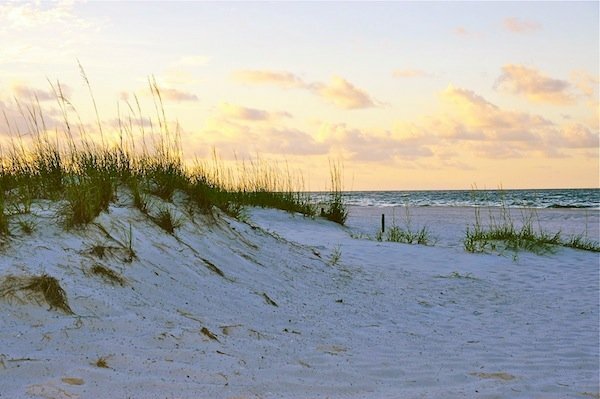 BP is awarded a permit to drill another exploratory well in the Gulf of Mexico. The Wall Street Journal reports that prosecutors from the Justice Department are preparing the first criminal charges against BP for the disaster. Reports leak that BP chose to hide its own internal estimates of the scale of the spill. In April 22, 2010 email BP officials were warned that the flow rate could be as much as 82,000 barrels a day. BP officials reacted to this alarming news by demanding that it be kept secret. 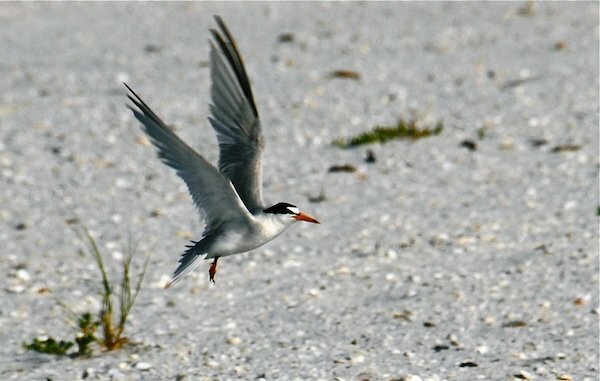 Reports of large marine animal strandings in the Gulf of Mexico continue to pile up in the first two months of 2012. Officials reported 48 marine mammals, mostly dolphins, and 87 dead sea turtles during the first two months alone. The numbers are significant when one considers the low stranding incidences reported prior to 2010. 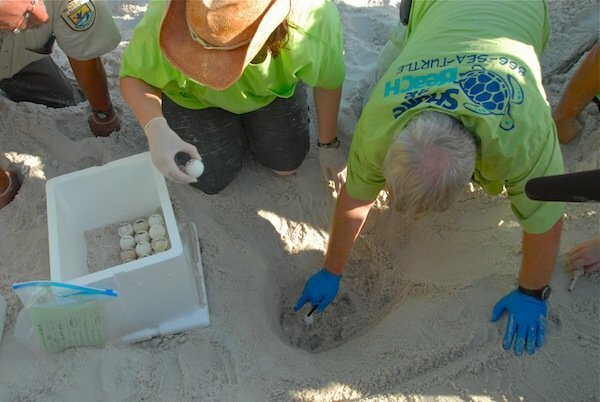 We documented the relocation of several turtle nests. 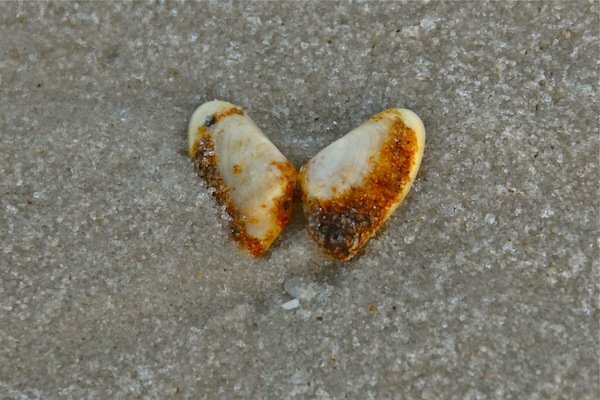 The babies that hatched from these eggs were released on Florida’s east coast. Photographs published by state officials show significant oil contamination in and around Middle Ground, reinforcing the fear that dangerous levels of oil were still surfacing. This comes after released photographs from Barataria Bay that showed matted oil pulled from wetland soil that BP said had been cleaned up. 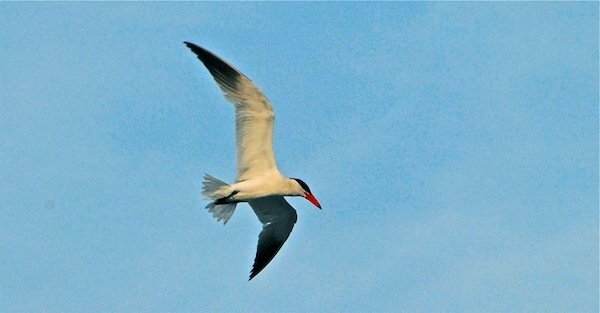 A National Wildlife Federation report indicated clear signs that wildlife populations, especially turtles, dolphins and Bluefin Tuna, continue to be negatively affected by oil pollution. 10 mile oil slick located and reported by Shell close to some of its drill sites and not far from the Deepwater Horizon site. Liquid oil still seeps from some Louisiana marshes and ongoing research of toxicity levels is being conducted by LSU researchers. 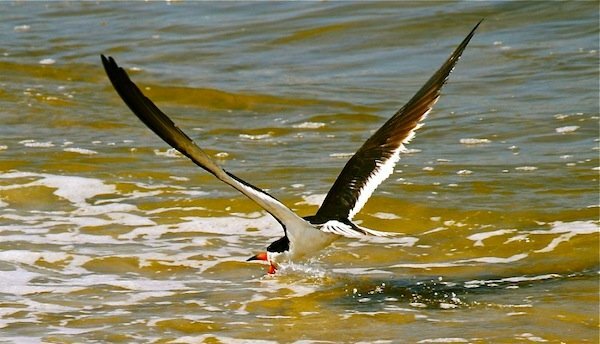 BP Oil Spill Settlement is extended by judge. Whilst there have been undeniable successes – and reliefs – in the two years following the BP oil spill, this disaster is far from over. As the oil spill slips off the radar of most mainstream media, its effects are certainly still being felt and will be for years to come. 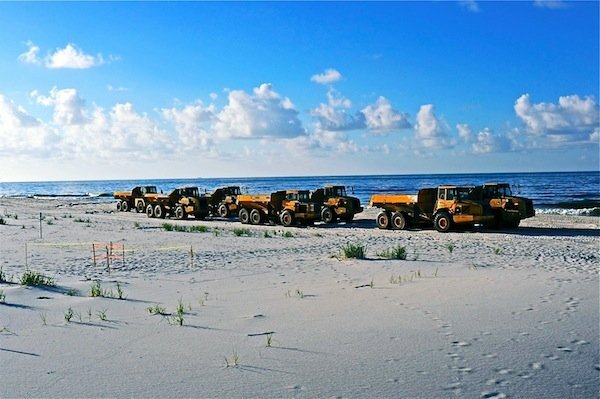 1.There are more than 27,000 abandoned oil wells in the Gulf of Mexico, according to an investigation by Associated Press, describing the area as ‘an environmental minefield that has been ignored for decades’. Some of the abandoned wells date back to the early 1900’s. Government officials estimate that thousands of them are badly sealed. 2.The NOOA recorded approximately 70 marine mammal strandings each year prior to 2010. In the past two years alone up until end of December 2011 approximately 600 marine mammal strandings have been reported and this trend seems to be continuing. 3. Traces of hydrocarbon poisoning are showing up in fish species. This is worrying as similar signs appeared before large fish die-offs after the Exxon Valdez disaster. 4. Turtles continue to die at significant rates in the Gulf of Mexico. 5. Liquid oil continues to bubble up from under the marshes of Louisiana and sizeable quantities of oil continue to be detected along coastal areas that were “cleaned” by BP. 6. BP is being given new permits to drill wells in the Gulf. 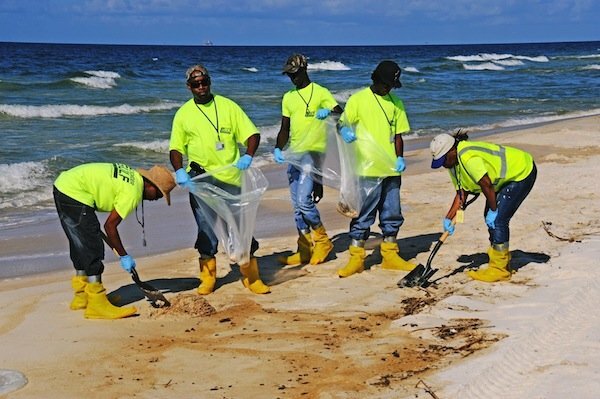 The visibility of the BP oil spill might be blurred but it is definitely not forgotten. In my eyes, the future is crystal clear. It will happen again. 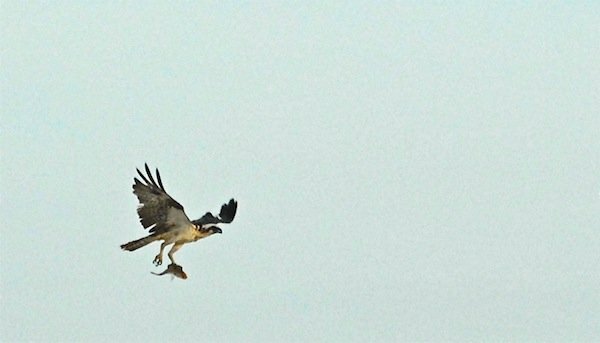 A life-long birder and native of South Africa, James Currie has many years experience in the birding and wildlife tourism arenas. James has led professional wildlife and birding tours for 15 years and his passion for birding and remote cultures has taken him to far corners of the earth from the Amazon and Australia to Africa and Madagascar. He is also an expert in the field of sustainable development and holds a Bachelor’s Degree in African Languages and a Masters degree in Sustainable Environmental Management. From 2004-2007 James worked as the Managing Director of Africa Foundation, a non-profit organization that directs its efforts towards the uplifting of communities surrounding wildlife areas in Africa. 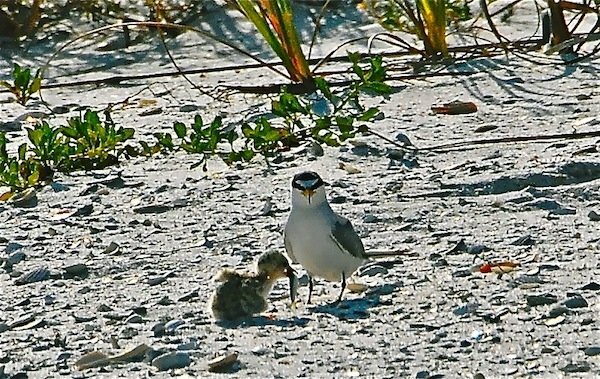 James is currently the host and owner of Nikon's Birding Adventures TV and he resides in West Palm Beach, Florida. Thank you for a really important post. What a tragic reminder of everything that happened, and shocking to read the list of facts as of now. Will we ever learn? It is a sad story, my huband worked for BP for 30 yrs. We feel very sad about the spill. I am a wildlife rehabber and a lover of birds and wildlife. Yes and I married an oil man. He isnt a thug, or a greedy person. I wish people could understand that we are people too and wish no harm on the oil rig workers or on the wildlife of this planet.The fact is we all drive cars and need petroleum products in all facetts of our lives, there is no easy answer to the growing need for oil.We love this planet too,and we arent dragons!It can be so easy to lump people into a category of greedy folks,or ‘those people’. but so many people within BP have been some the most caring and intelligent people I have ever met.